While #37 First Light is no new comer to the Atlantic Cup having won the very first edition of the race we are pleased to welcome her back with a new crew of young, highly motivated and highly skilled sailors! 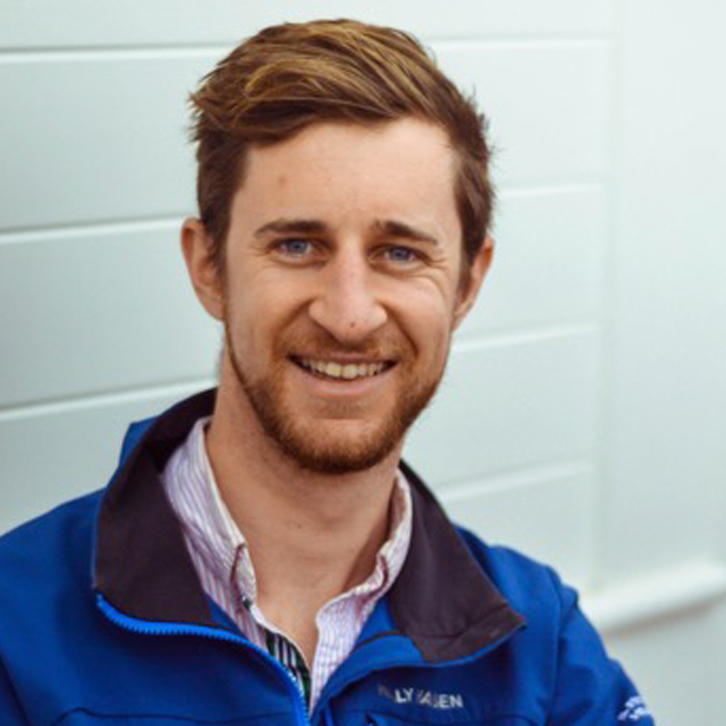 Skippered by Sam Fitzgerald, a professional yacht designer and Fred Strammer, a former Olympic campaigner both are veterans of numerous inshore and offshore races and this team could certainly out perform their rookie status! Taking care of our planet means everything to me. Humanity as a whole need to be more conscious about our environmental impact as we only have one earth. Especially as the last time I checked we’re losing planets in our solar system not gaining them (sorry Pluto). Promote sustainable fishing, stop the dumping of hazardous materials, and stop using plastics. First Light is the debut boat of the Infinity Project. The Infinity Project is an avenue created by the USMMA to enhance maritime education and a pathway for American youth sailors looking to complete in the world’s most challenging, premier offshore racing events. 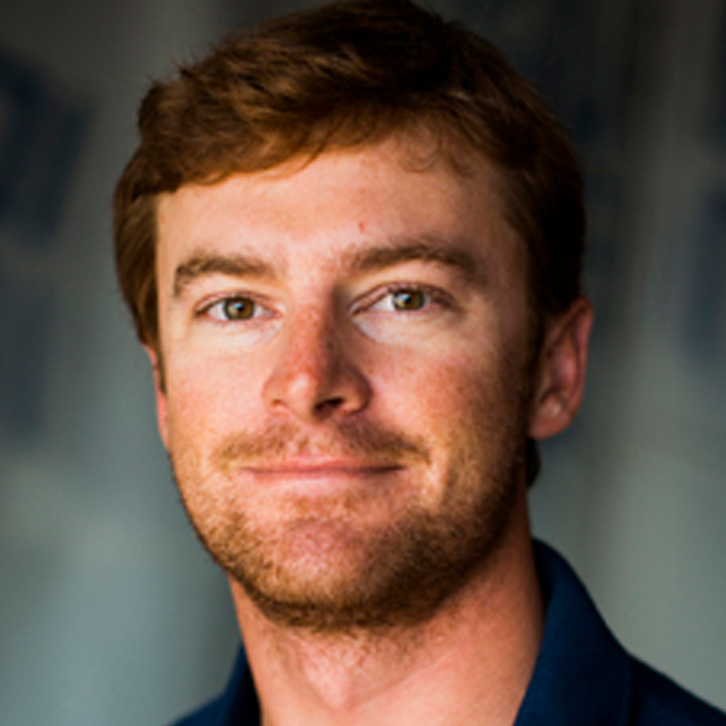 By choosing First Light you are choosing to promote young American offshore racing. I can cut an onion without crying. Imagine trying to drive a 40 ft car that typically requires 6 people but everyone called in sick but your buddy. The short leg from New York to Portland will be a make it or break it leg. Fingers crossed there’s breeze off of the cape. 6 on a sunfish with my dad. I followed the natural progression of my junior program. I will go over every line and sail on the boat at least three times. Even if I know it’s correct. None yet but getting ready for 2019! A good mixture of offshore and inshore racing. Looking forward to the Middle Sea Race and Sydney Hobart again. Fred and I have been racing with each other for the past three years and are even roommates sometimes. Determined, a tactics master and will out compete anyone in his way. I thrive when the conditions get tougher and I know how to fix pretty much anything. I love sailing offshore, it’s sailing in its purest form. Everything comes down to your personal decisions. It’s the ultimate test of self-reliance. My least favorite is how you can never get dry once you are wet. Damn you salt. I don’t have one. Being alone on deck is one of my favorite part of sailing the Class40. Our skill sets balance each other well and we have a tested history of racing with each other. In a three leg race consistency will be the key to success. We are a new team and are going to be the first ones to tell you we won’t be coming in first, but we are hoping to get top 50%. Michael (Dragon) has been in the game long and looks to be a seasoned favorite. Yes but a few Zzz will go a long way in regards to judgement calls. Sail preservation will be a large aspect of our strategy, especially with the boat doing the Bermuda 4 days after the finish! Anything warm, I’m not picky. Why do people think candy is a reasonable thing to bring offshore? I enjoy fly fishing, surfing, and reading a good book. I’m a mean chef (thanks mom!) and can juggle. Responsible and sensible living yields healthier and happier lives. I want the treasure and experiences I have had with nature to continue so that the next generation can appreciate the wonder and awe of an incredibly unique planet. I appreciate the sustainability initiatives of the Atlantic Cup. Consider a handful of items you use daily. Consider the energy, materials, time, money, and impact that one item may have prior to its inception to its discard and decomposition—hopefully. Consider for what purpose and for how long you using that item. Does your use of that product justify all these considerations? Could you change your habits or use another item for longer or instead of the item you used? Would you rather use that item and lose the habitat or animal it is impacting, or find an alternative that can enhance and help that habitat or animal thrive? It has been my initiative to find ways to limit waste and my carbon impact while committing to a busy travel schedule. It’s easy to have a low impact on the environment when one travels less. Sailors tend to travel often and use consumables when traveling. I want to understand this problem and find creative solutions that offset sailor’s carbon footprint in a way that is both helpful and practical. The First Light crew will be the youngest entry in this year’s race. We hope to be ambassadors of the next generation of offshore sailing “youth,” which is the boat’s long term initiative of the Infinity Project: a joint venture between the United States Merchant Marine Academy Foundation and the United States Olympic Development Program. I feel the kids will enjoy our energy, enthusiasm, and purpose. I have been a waterman since birth and have spent many miles and days offshore fishing and diving in addition to sailing. I enjoy the adventure and fear of the unknown, which is why I am pursuing offshore racing. Short-handed offshore sailing is a test of one’s skills an ability to manage oneself, one’s team, one’s equipment, and mother nature. It is an amazing opportunity for self discovery and adventure. I’m not sure since I’ve never sailed the route. Sam and I have been racing together on for the last two years on One Design keelboats. I am fortunate to meet and sail with Kay this spring for the Atlantic Cup. Sam is very mechanically oriented and technically minded. He has a lot of offshore miles in both hemispheres. He brings a lot of valuable experience and technical knowledge. Kay also has many offshore miles under her belt, including time in the Class40. She is great with logistics and will bring great experience and organization to the team. I have an extensive dinghy background and over six years Olympic campaigning. I am analytical, technical in helming and trim, and have strong strategy/tactical background. I know our team will perform in both the offshore and inshore races. I enjoy the uninterrupted state of mental flow. I dislike warm sailing conditions. Sam and I have sailed many races together and work well as a team. We have skillsets that cover each other’s weaknesses. We have a fantastic boat and opportunity to participate in the Atlantic Cup courtesy of the Infinity Project which is a collaboration between the United States Merchant Marine Academy Sailing Foundation (USMMA) and the United States Olympic Development Program (USODP). Our biggest challenge is to secure funding and build a pathway for U.S. youth education and development. Yes, we have a performance goal to win, but more importantly, our goal is to build a better generation of American offshore sailors. Our biggest challenge will be making the Infinity Project a sustainable endeavor. I encourage anyone interested in forwarding this mission to join our team! As first time entrants, I think we will surprise people with our performance. This is what I’ll tell my competitors! Kidding aside, there is extensive research on sleep deprivation and performance. Athletes have to train and adapt their sleep cycle in preparation for multi-day offshore races. No human performs well with extended sleep deprivation. What’s your favorite thing to eat when you’re offshore? Everything. I eat a lot while offshore.